The Arsenal Supporters’ Trust are set to reject Stan Kroenke’s offer to buy out their members’ shares in the club and are seeking legal advice to challenge the compulsory purchase aspect of his takeover. Kroenke Sports Enterprises (KSE) last week announced to the London Stock Exchange they had bought Alisher Usmanov’s 30 per cent stake in the club for £550million, triggering a formal offer for the remaining shares in the club, worth £29,419 each. The American businessman now owns 97.14 per cent of the club, with the rest owned by around 400-500 private shareholders, who are all considering whether to sell quickly or put on a show of defiance. The existing purchase offer expires on August 28. Takeover law dictates that Kroenke will complete his sale regardless, so any move to reject his initial offer or mount a legal challenge will, in effect, only be a symbolic gesture. 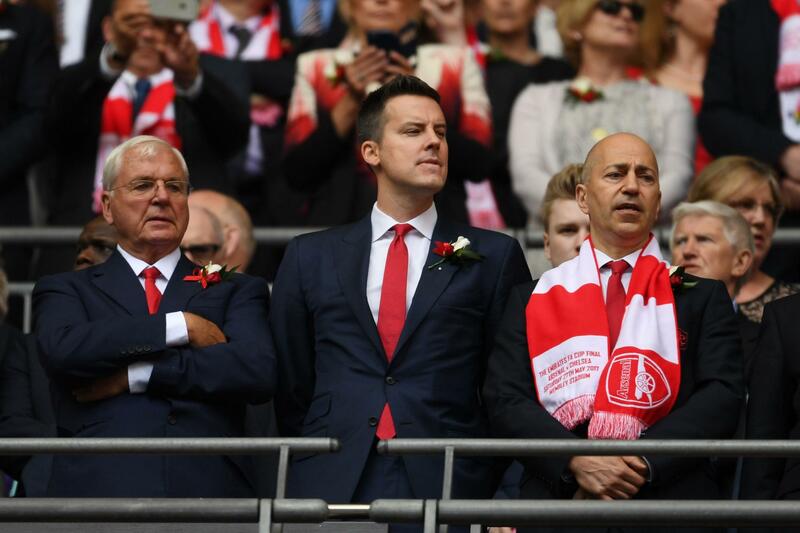 However, the AST believe it is possible they could instigate a sufficient delay to put pressure on Kroenke to hold one final Annual General Meeting later in the year. Arsenal AGMs have been increasingly hostile affairs in recent years with many independent shareholders opposing the re-election to the board of various members, including chairman Sir Chips Keswick and Kroeke’s son, Josh. Kroenke Sr will likely resist any push for another public AGM. An AST spokesman told Standard Sport: “The AST are minded not to accept the offer and are seeking legal advice on the merits of the compulsory purchase intention. The AST are exploring whether there is any legal basis to argue Kroenke’s offer is an unfair price — individual shares have traded in excess of £30,000 this year — or if a technical point of law has been breached, possibly in regards to whether these shareholders are unfairly disadvantaged compared to others.